Ever considered translating your website, manuals or catalogues from English to Portuguese? At our translation agency we not only translate words, but adapt your texts to the market they are aimed at. In the case of Portuguese, we will take into account whether the text concerned is aimed at a Brazilian or Portuguese audience, thus ensuring a translation adapted to the target market and public. To request a translation quote you have several options: you can use our online quote with which you can find out the price of your English to Portuguese or Portuguese to English translation in just a few steps, or you can send us your documents by email and within a maximum of two hours you will receive your personalized quote, free and without obligation. We can also help you do your translations in any other language combination. We are accustomed to our Portuguese neighbours lamenting the fact that, despite the close geographical, cultural and even economic and political links that unite us, the Spanish are only aware of the most popular features of Portuguese culture and demonstrate a completely unjustified condescension towards them. And the fact is that, although we know that their language has the same origin as ours (dating back to the disintegration of the Romance languages in the west of the Iberian Peninsula after the dissolution of the Roman empire as a result of the barbarian invasions), that it has undergone a similar historical evolution and that it is closely related to Galician, we are unaware of the extent of its international spread as a result of the Portuguese Empire. Were you aware that it is spoken by over 200 million people today? 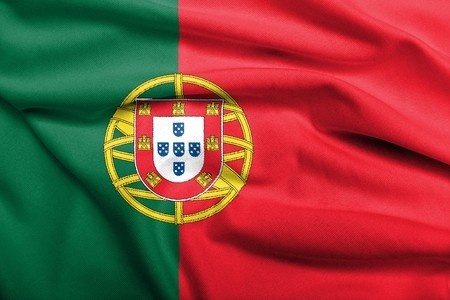 Portuguese is the official language of Portugal and Brazil (where 90% of the world’s native speakers are to be found), as well as many of the former colonies of the empire, such as Angola, Mozambique, Sao Tome and Principe, Guinea-Bissau and Cape Verde, which are currently members of the so-called Confederation of Portuguese Speaking Countries, whose headquarters are in Lisbon and which has a significant beneficial influence on the economy and politics of the member states. Curiously, not all of them border on other nations that speak the same language; Portuguese, in this respect, is a unique case. In other countries, it coexists with other official languages; as in the case of Equatorial Guinea, East Timor and Macao. Moreover, due to the mass emigration of Portuguese and Brazilian citizens (largely due to commercial interests), there are large Portuguese speaking communities in countries where the language is not officially recognized, such as South Africa, United States, Canada, Venezuela and Luxembourg, where, as we know, the interests of the whole of Europe are decided. Furthermore, Portuguese has given rise to the creation of increasingly important Creole languages. So it is present in all corners of the planet. It is one of the official languages of the European Union, Mercorsur («southern common market» in Portuguese), the African Union (aimed at economic and political integration and cooperation between the member states) and the African Union (which includes some countries of Romance heritage and is aimed at the spread of Latin culture), and is the seventh most widely spoken first language in the world. And we didn’t know it.